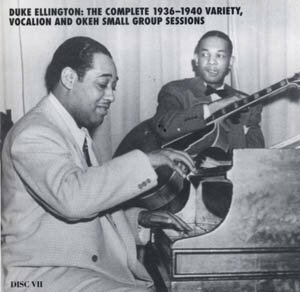 Duke Ellington – The Complete 1936-1940 Variety, Vocalion And Okeh Small Group Sessions. A massive Mosaic box set that I eyed for years before I finally picked it up, just before it went out of print. This is flat-out some of the most wonderful jazz ever recorded, at least for my taste. These small-group sessions have the unmistakable Ellington flair for arrangement and color, but often feel looser and more laid-back than the full orchestra. The first-ever recording of “Caravan” is here, but a few “hits” do not really cover the impact of the whole thing. Truly a near-endless supply of casually tossed-off genius, charming and delightful. 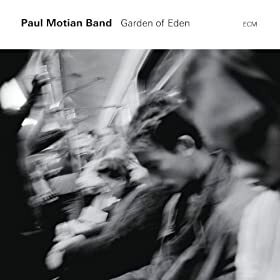 Paul Motian – Garden of Eden. The obituaries for Motian, who passed in 2011, invariably start with his role as the drummer in Bill Evans’ classic piano trio. But I think he was one of the great bandleaders of recent decades, and this 2004 recording is one of his peaks: a gorgeous wash of sound, featuring no fewer than three guitarists, along with two saxophonists. The two Mingus covers (strangely rare for some reason) are particularly great. 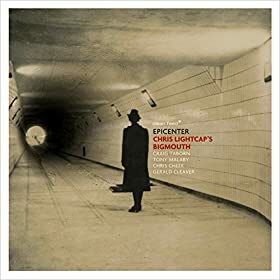 Chris Lightcap’s Bigmouth – Epicenter. This group’s 2010 recording Deluxe was one of my favorite jazz albums of recent years, thanks to its combination of smart compositions and groove. The 2015 follow-up is just as good and even more varied. Craig Taborn mostly plays electric piano, giving the group a nicely spacy backdrop to the interplay between tenor saxophonists Tony Malaby and Chris Cheek (in what is probably not a coincidence, the same saxophonists as on Garden of Eden). But the writing by bassist-leader Lightcap is what really sets it apart, with some West African riffs and even an arrangement of a Velvet Underground tune. 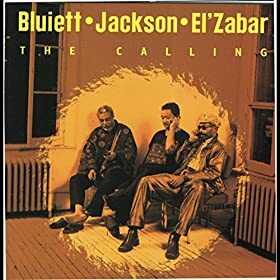 Hamiett Bluiett – The Calling. Perhaps one of the most diverse jazz recordings I’ve ever heard, despite a seemingly minimal lineup of Bluiett on winds, D.D. Jackson on keyboards, and Kahil El’Zabar on percussion. The three old masters change instruments and styles on virtually every track to create a mosaic portrait of modern jazz in all its variety, with plenty of rhythm and humor. 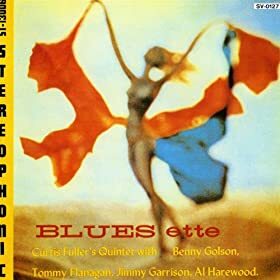 Curtis Fuller – Blues-ette. A near-perfect masterpiece of hard bop from 1959, featuring the great tenor saxophonist Benny Golson along with trombonist Fuller. Nearly as good is Imagination, recorded the same year and adding Thad Jones’ trumpet to the front line. ← Previous Post Why is China not a “transition economy”?